Stationery holder are always in demand be it office, home, school, college, institution, hotel, restaurant bank and any other place. Jute Stationary holders are highly popular now a day where modern environment conscious people live. 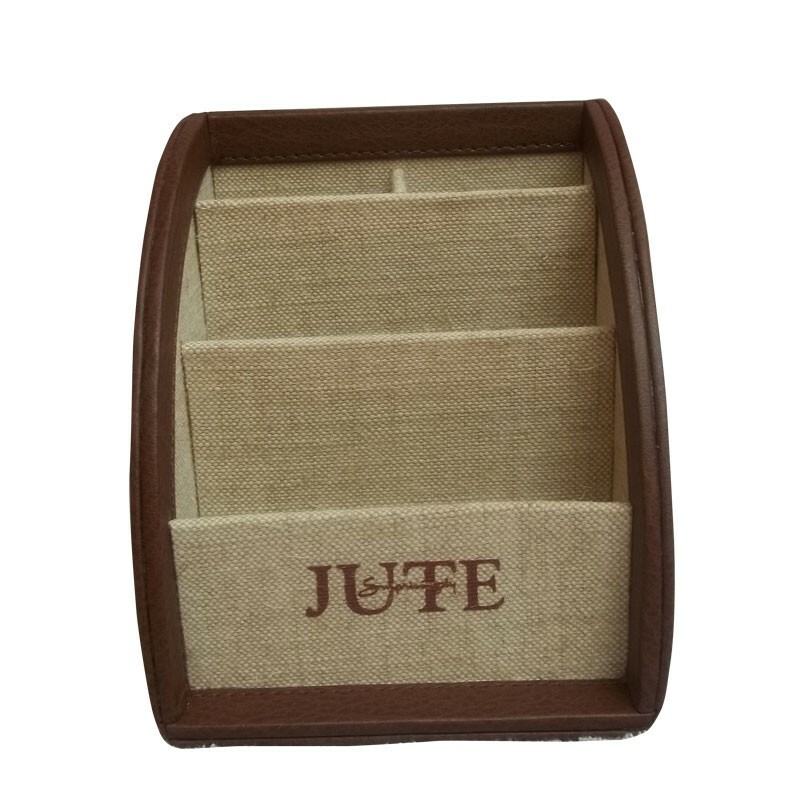 Stationary holders of Jute are highly fashionable that bring an enticing ambience to the decors. In addition to their striking looks, they are highly valuable and functional. Highly useful, these holders help the user to arrange the stationery orderly. Jute stationery holder help in keeping the place spick and span by removing the issue of spreading things here and there as well as cluttering. Ideal to store stationery items be it books, magazines, boxes, bags, purse, pencils, pens, folders, files, etc., they have become the need of every house, office, etc. Jute that is used as the major raw material in the production adds durability and sturdiness to them. Jute stationery holder of organier are highly strong in nature assuring user of their long lasting life. Their resistant to fire, water and heat properties make them perfect to be used in harsh weather conditions. Handy and light in weight, jute stationery holder can be easily placed anywhere a user like to by carrying them easily. Moreover, they are quite compact that make them perfect for low space areas as well. These environment friendly jute stationery holders are aesthetically appealing and valuable in some way or other. They are eco friendly in nature along with biodegradability. Their bio degradable nature make a user decompose them after use without polluting environment. They can be easily disposed after use as they are completely organic. These innovative jute stationary holders are available in different sizes and excellent designs. They are also available in beautiful colors & prints to suit the interiors well. As they can be availed at pocket friendly prices, they are ideal to low budget person as well.